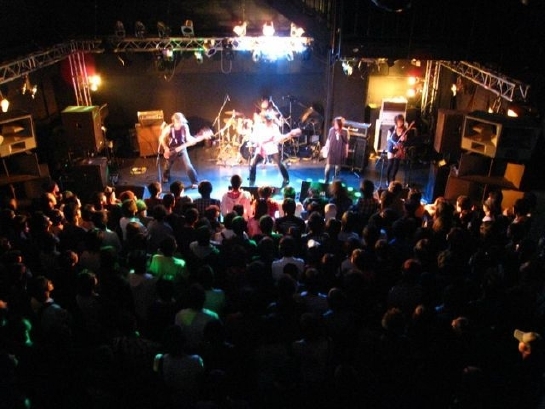 Live act in Jun-Oct 2003. Live act in Jul-Sep 2004,on the HR/HM cover songs. Live act in Dec 2004,on the all original songs.And...Vocalist secedes. "Remaining 4" was the start new...It is a birth of the "HAYATEBUNE". Key:Chihhy, she left for undergoing medical treatment temporaly. within 2006 because of response to the voice from every direction. We performed at the Tokyo Electric communication university. Guest singer ming-zi became a "crew" after that. Distribution finished,Thank you for your plenty of applications. Live act in "CHIBA ZX". "IMAGINAT BLOW GIG 2008" at Shibuya EGGMAN. Live act in "yotsuya OUTBREAK". "IMAGINAT BLOW GIG 2"at Studio Cube 326. Guest player Vn:Mio became a "crew" after that. Live act in "UENO BRASH".